Mexico is set to become a developed country in the coming decades. We can benefit most from this economic transformation in the beach city of Playa del Carmen. 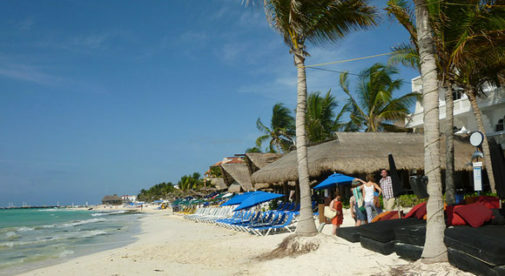 Playa del Carmen, a veritable boom town today, is already a well-recognized name among tourists. But today it’s becoming something more than just a hot spot for travelers. Mexico’s growing middle and upper classes are discovering its charms…and it’s in this transformation that there’s money to be made for us. I look for certain things when I evaluate the worthiness of a market. The most important is demand. 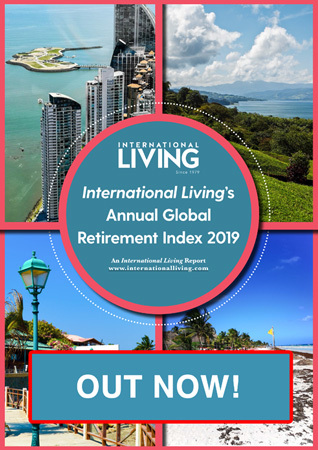 I want to buy in a location that shows growing demand—ideally an internationalized location that has demand for real estate and has the demographic trends to develop the locale. Playa del Carmen is one of those internationalized places. It’s attracting mobile people from all across the world: Italians, Russians, and retirees from North America. World-class chefs are being drawn there from Mexico City. Business people from Guadalajara are coming. Think of it like the draw of Miami and south Florida over the past three decades…Playa del Carmen offers good weather, a high quality of life, earning opportunities, and the amenities mobile people look for. In Playa del Carmen today, the streets are safe, schools and hospitals are good, and these attributes are drawing people in from other parts of Mexico. Indeed, they’re what’s attracting folks from other countries as well. On my last visit I met Italian entrepreneurs (at every turn, it felt) here to invest and make a life for themselves. Venezuela is a mess. Many mobile Venezuelans are coming here. When turmoil rolls in, the better educated and those with financial resources come to a place like Playa with that emigrant vigor and hunger. I can’t tell you how many times I’ve said “you should move to Playa del Carmen” to young friends and acquaintances setting off on the journey of career and life. To an architect friend, a trainee (teaching) golf professional, real estate sales person, restaurateur. Ten years ago…even five years ago I would have only suggested a stint in Playa del Carmen to someone who needed to get the beach bum or partier out of his system before coming back “to reality.” Now it’s different. 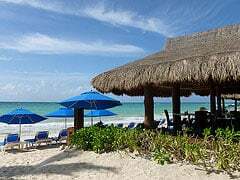 Playa del Carmen is becoming something of a hot spot and that is no surprise with its stunning beaches, World-class restaurants, and great weather. Our opportunity in Playa is to own the real estate where these people will want to live and work. 1) We can profit from the shortage of short-term rentals in downtown Playa del Carmen. Here your target market is the short-term visitor for business or pleasure. 2) We can buy the home where the new upper-middle class families will want to live and raise children. The new play I’m now homing in on is to buy the home where this new upper-middle-class resident of Playa will want to live. Playa’s middle-class cookie-cutter suburbs sprawl. Some nice neighborhoods exist with homes in the $500,000-plus bracket—but there’s not much in the way of a nice home a young lawyer, doctor, or engineer would want to live in. So this is a gap in the new upper-middle-class market.